I guess, but this one had a map! 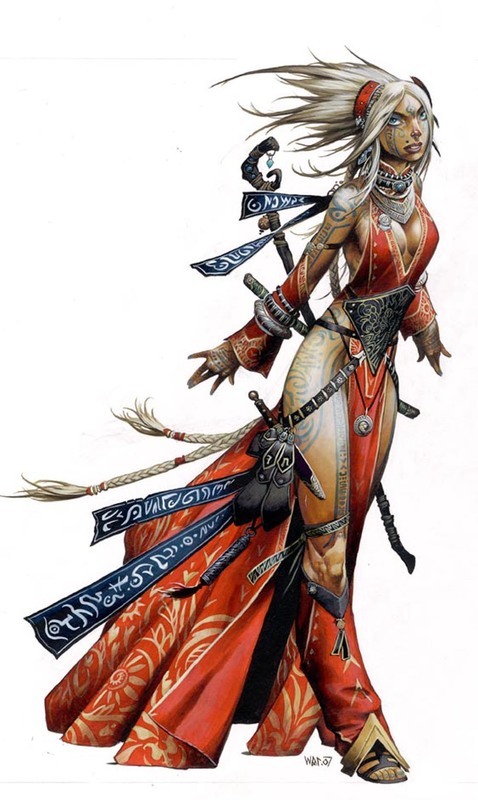 Today was Pathfinder, day, with +Jeromy French as GM, and +kung fu hillbilly and +Matt Sutton joining me as players. +Joshua Taylor and Evil Gimble was missing tonight. I am going to unashamedly talk spoilers here, so be warned. Last game ended with a combat, our tower had been attacked by quite a large force. We’d reinforced anyway, and as usual we played out the battle mostly with the teeming hordes of the bad guys in the background. We basically wound up chasing a sorceress around for a while, eventually killing her. Turns out there was some interesting stuff tattooed on her back, which naturally Evil Gimble had flayed off and made into a nice portable map. Anyway, the map had a key bit on it, a bit of a puzzle-poem, which I won’t fully reproduce. Nonetheless, Admiral Allejandro (Kung Fu Hillbilly’s bard) totally nailed every single Knowledge: Local and other Knows Trivia roll he was asked to make, so we were able to deduce the rough corner of the ocean we should visit. It was only a week away, so we gathered up a crew, set sail, and headed out doing what pirates do: looking for buried treasure. Perception roll to see man-sized caves was a 33). Anyway, we decided that we’d needed to wait until dawn to ensure we got the right place. We did, saw what we expected to see, figured out the final clue without die-rolling, and went spelunking. Or climbing, and then digging, and then falling, and then spelunking. And attacked by Sahuagin. Anyway, thanks to the off-camera action of Evil Gimble, we had lots of potions to let us breathe underwater and give a nice bonus to Swim. So despite forgetting the Coral Crossbows we’d looted which work remarkably well underwater, we made fairly short work of five or so Sahuagin, taking a few minor wounds in the process. Next week, Gimble will hopefully join us as we continue the dungeon crawl to look for the loot.